Blue tansy is also known as Moroccan Chamomile or Blue Chamomile and has many of the similar properties of German Chamomile. It is known for its nervine properties and relieves nervous tension as well as anti-inflammatory and pain relieving properties. 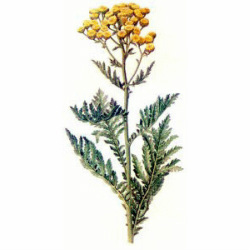 Blue Tansy is best used as part of a blend to utilize it's properties. Only use this oil topically with a carrier and sparingly, this oil is best used as part of a blend.